← Wall Of Sound – October Live & DJ Dates……. Technique Recordings have hit their century. One hundred releases couldn’t be passed over without something just a little bit special. 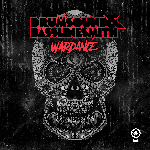 Fortunately the label’s bosses happen to be one of the biggest D&B acts in the world, so to mark a monumental occasion, Drumsound & Bassline Smith have stepped up with a monumental release. They roll straight in with Nicaragua. Ominous samples evoke a sense of foreboding before percussive synths ratchet up the tension even further. When the release of the drop strikes, you’re in dancefloor mayhem territory. Then Serious Business delivers a love letter to the days when jungle ruled the raves. A reggae- infused intro is a signal for true heads to blaze up their lighters before full-on Amen pressure ensues. Classic samples are woven in to bring the sound of the acetate plate into the future. Breakin’ Badboy goes a shade darker. Horror-flick orchestral stabs mark out time in the intro before siren synth-bleeps signal the nuclear meltdown of the drop. Dark drama with scientific precision, just like Walter White would have wanted. Next, Neighbourhood combines state of the art production and classic dubby jungle into one spaced-out, step-switching monster. This is one to draw for to take the rave into some heads-down sub-worshipping skanking. For Tech 100, Drumsound & Bassline Smith have provided a true reflection of the label’s place in the scene. Their pedigree stretches back into the nineties underground combined with mainstream relevance, respect to the old skool mixed with future production skills. With these elements to draw on, Technique Recordings have clearly got another big century of releases ahead.